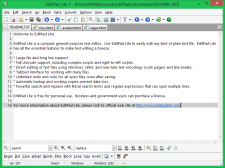 - Large file and long line support. 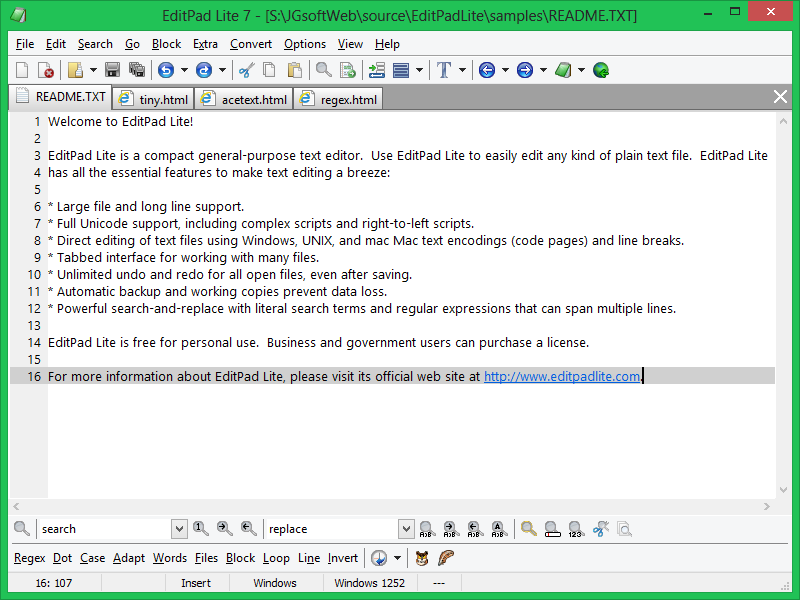 - Direct editing of text files using Windows, UNIX, and mac Mac text encodings (code pages) and line breaks. - Unlimited undo and redo for all open files, even after saving. - Automatic backup and working copies prevent data loss. - Powerful search-and-replace with literal search terms and regular expressions that can span multiple lines.